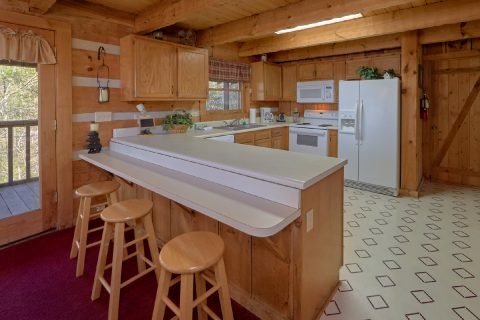 "Hillbilly Deluxe" offers vacationers a pet-friendly 2-bedroom cabin in Pigeon Forge for an unforgettable mountain getaway that every member of the family can enjoy. This semi-private cabin lets up to 6 guests enjoy a cozy cabin interior with wood fireplace, hot tub, pool table, and more! 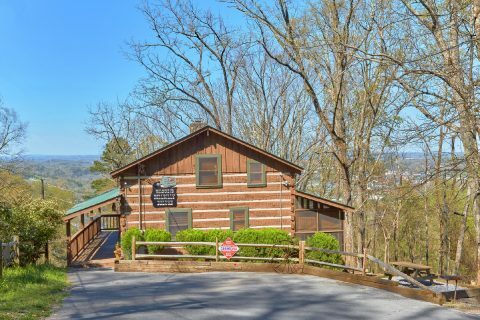 Your cabin also places you near all the fun and excitement of Pigeon Forge, Dollywood, Gatlinburg, and more! 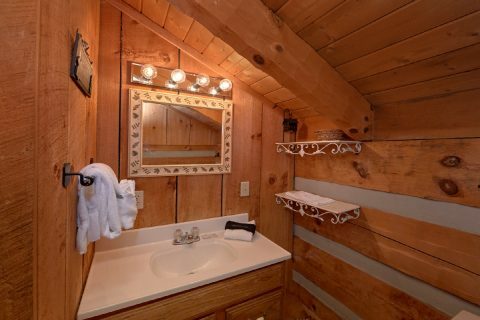 Inside your cabin, you'll find the perfect cabin home away from home. 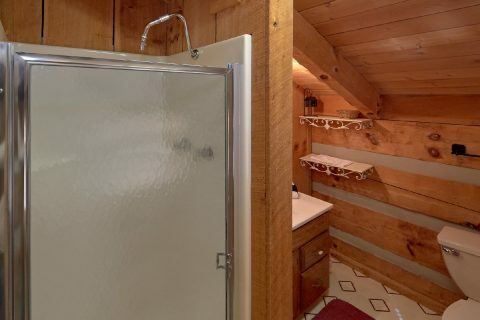 This cabin provides guests with 2-levels of cozy cabin features. 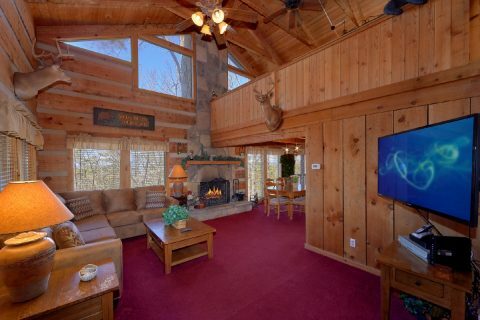 The wood-burning fireplace offers guests a chance to relax in front of its warm glow on cold winter nights. 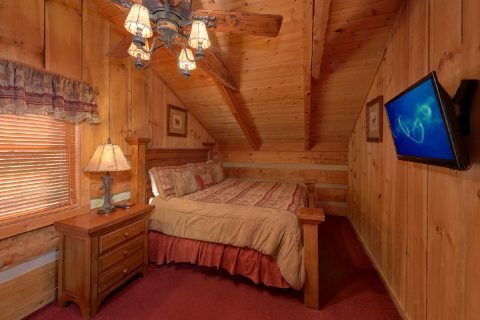 Enjoy watching your favorite shows on the cable TV or stream your favorites with the cabin's WiFi Internet. 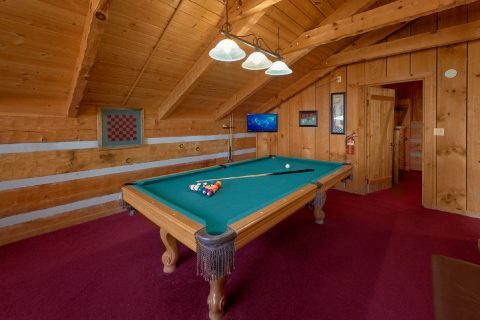 Your cabin's pool table offers the perfect place to enjoy a game night with friends and family. 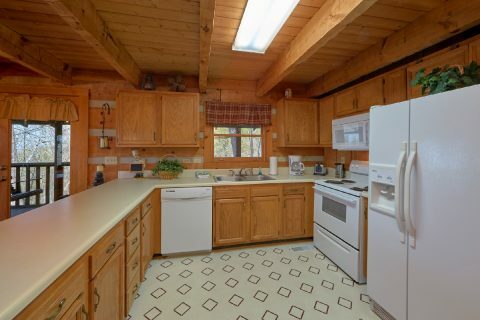 Your cabin also offers plenty of space for entertaining outside. 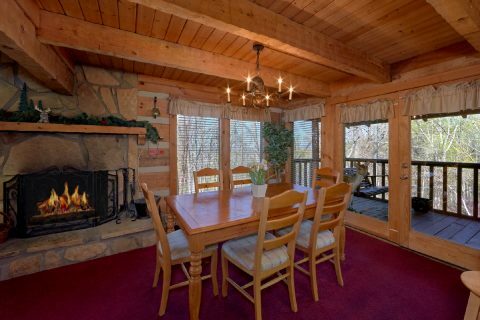 Host a cookout on the charcoal grill for a mountain meal to remember with friends and family. 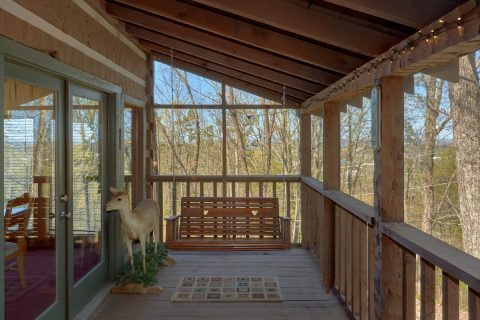 Your cabin features a screened-in deck that's perfect for enjoying the mountain scenery without the bugs. 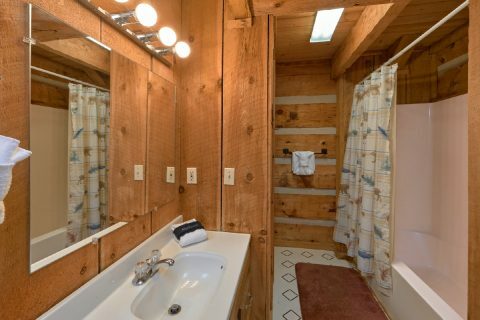 And what cabin vacation would be complete without a soothing soak in your hot tub? 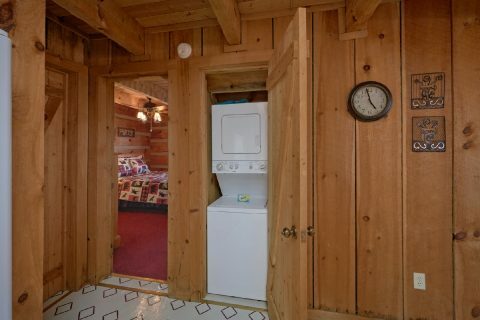 This cabin also features practical amenities such as a dishwasher and washer and dryer at your cabin retreat. 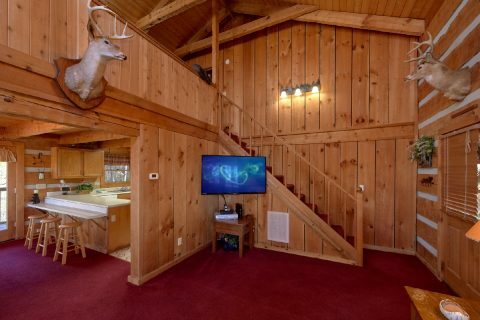 This pet-friendly cabin lets every member of the family enjoy making mountain memories together and removes the stress of finding pet-care while your away. 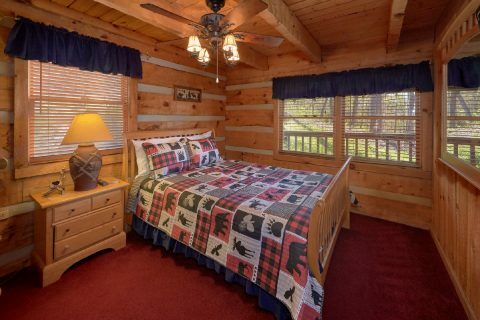 When it's time to turn in for the night, you can enjoy a peaceful night of sleep in one of two bedrooms with one bedroom featuring a comfortable king bed and the other offering a cozy queen bed. 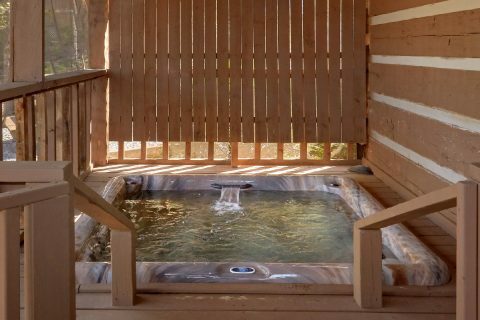 A stay in the Smokies means that you'll be close to fun attractions in Pigeon Forge and Gatlinburg. 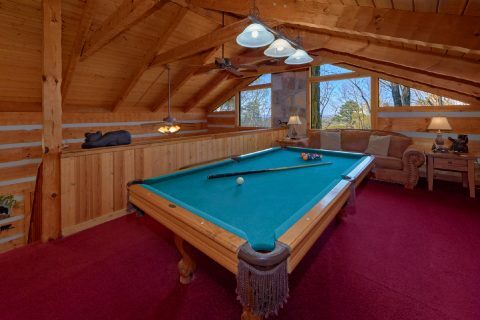 From mini-golf along the Parkway to a meal out in Downtown Gatlinburg, there's always something to do on your Smoky Mountain vacation. 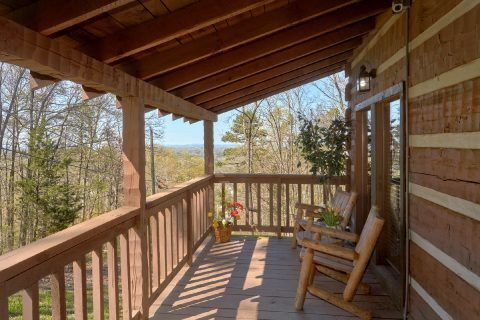 You'll enjoy easy access to everything from Dollywood to the Great Smoky Mountain National Park from your cabin. 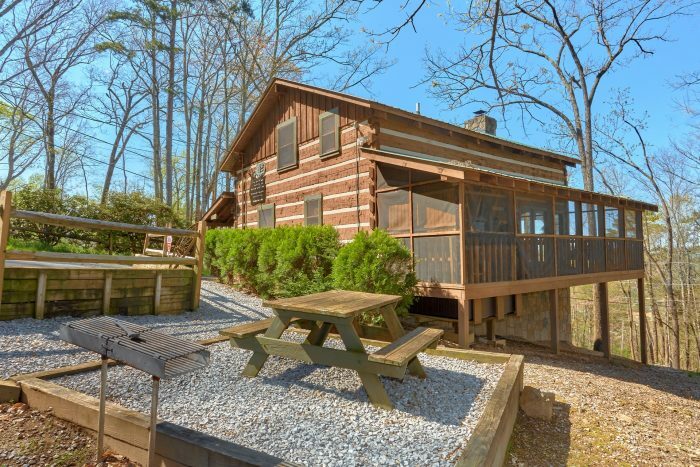 Book "Hillbilly Deluxe" and start planning your unforgettable mountain getaway today! 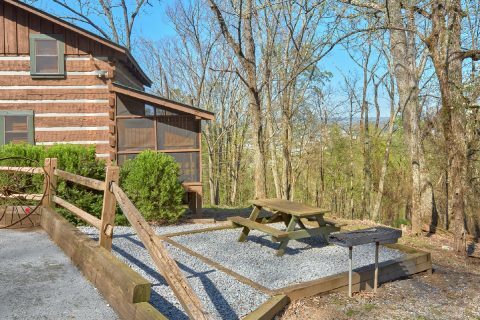 When you reserve this 2-bedroom pet-friendly cabin in Pigeon Forge, you'll receive a 15% discount!